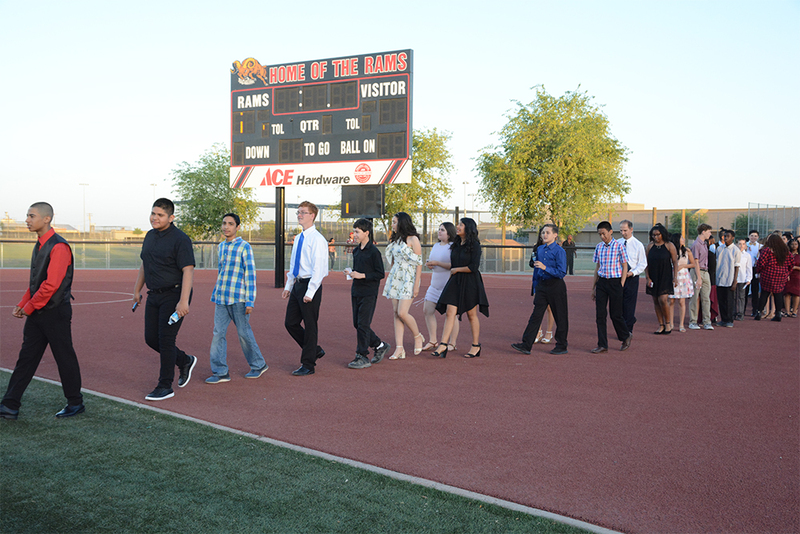 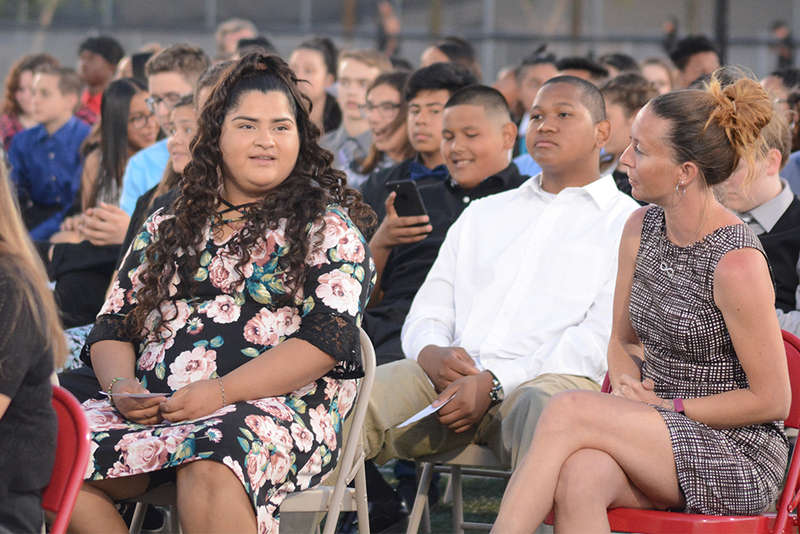 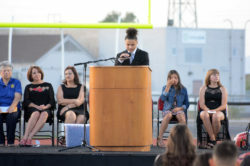 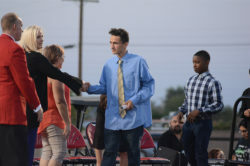 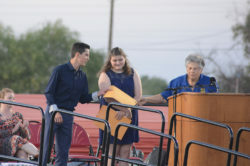 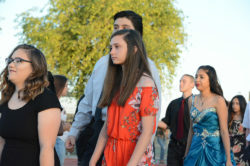 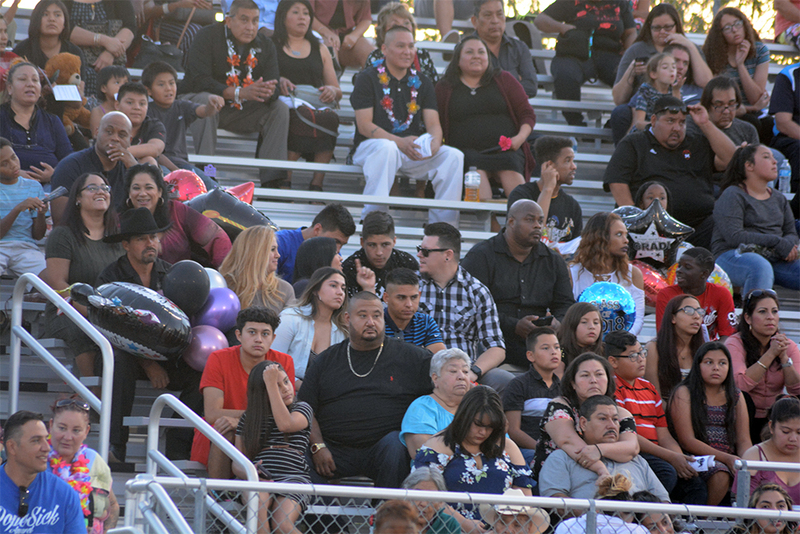 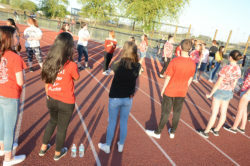 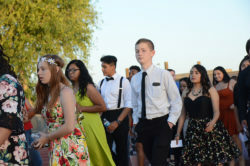 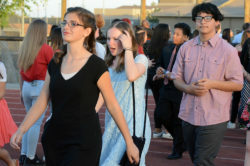 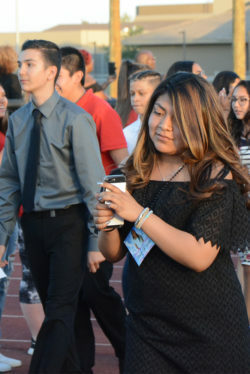 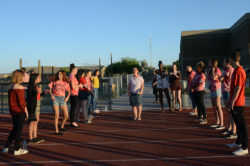 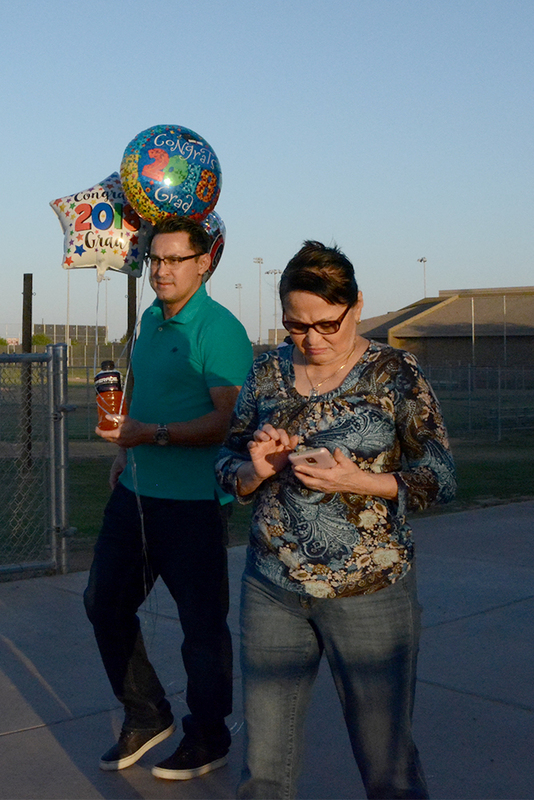 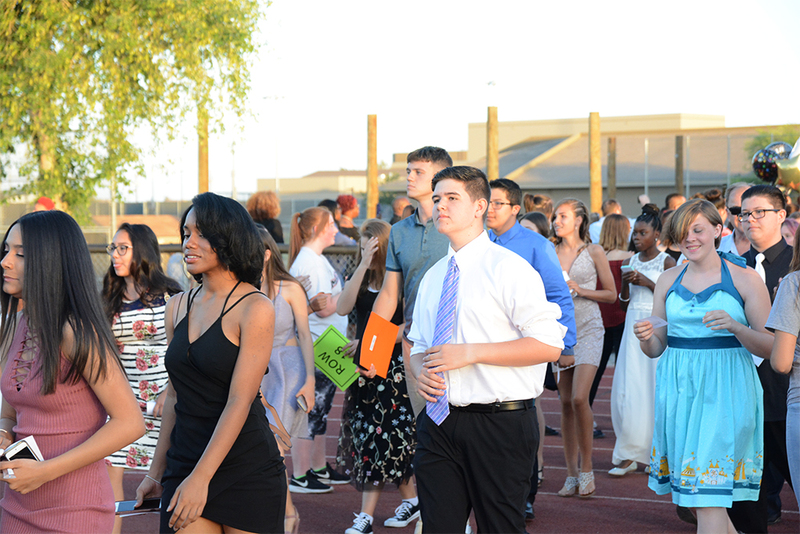 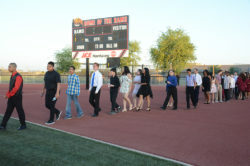 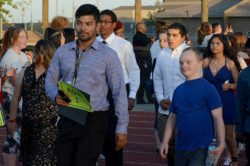 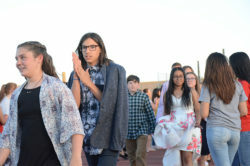 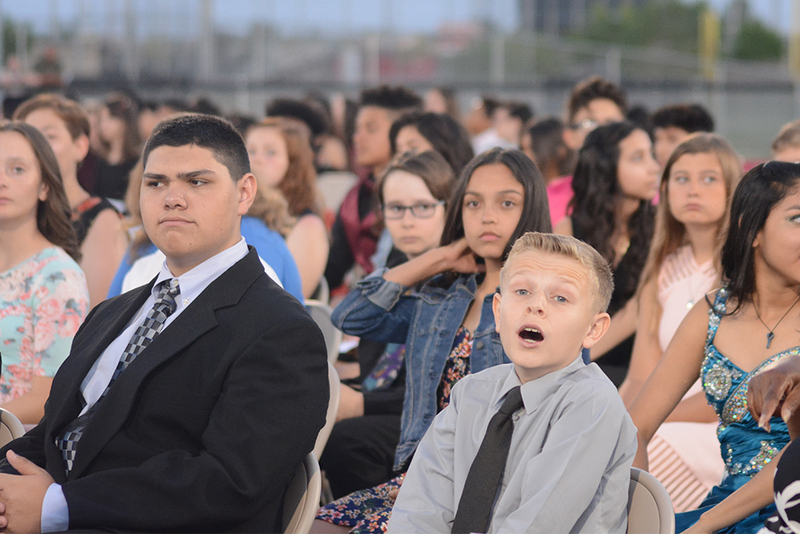 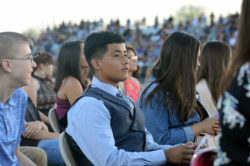 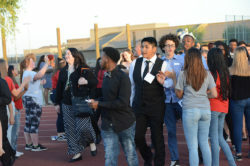 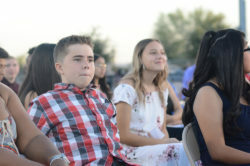 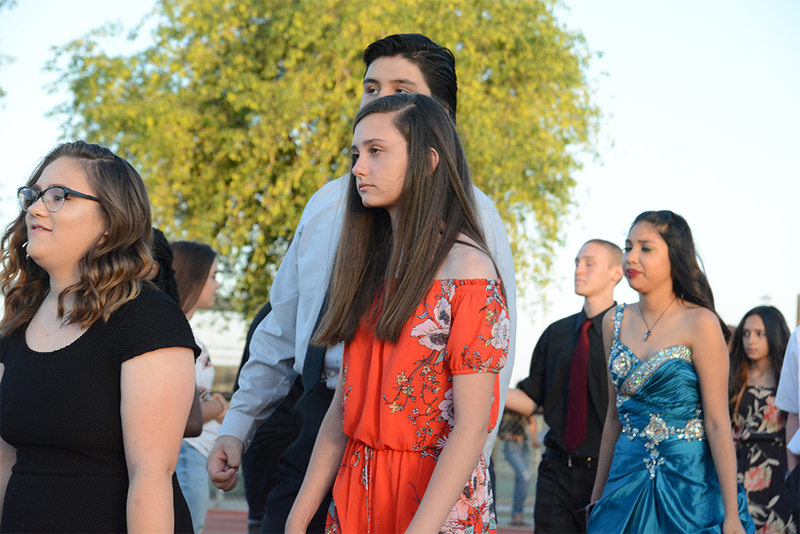 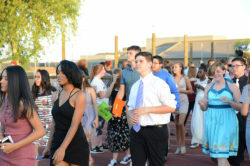 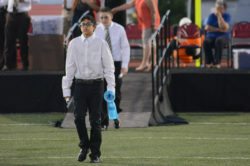 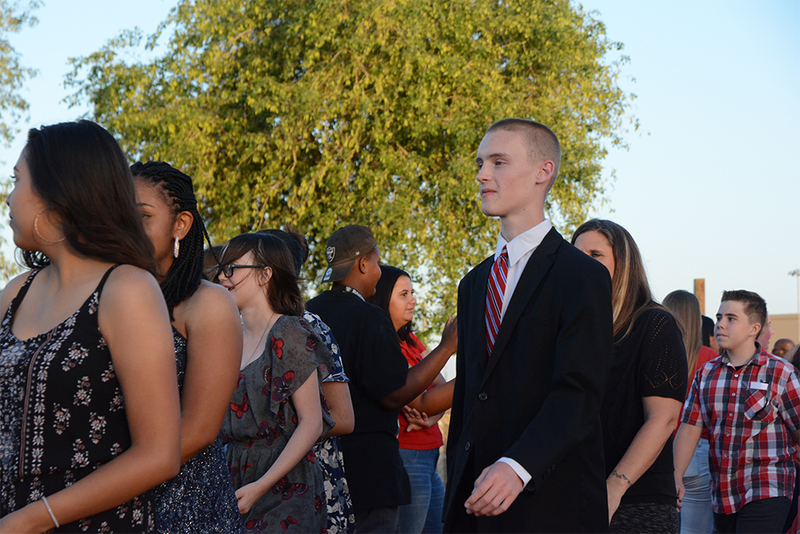 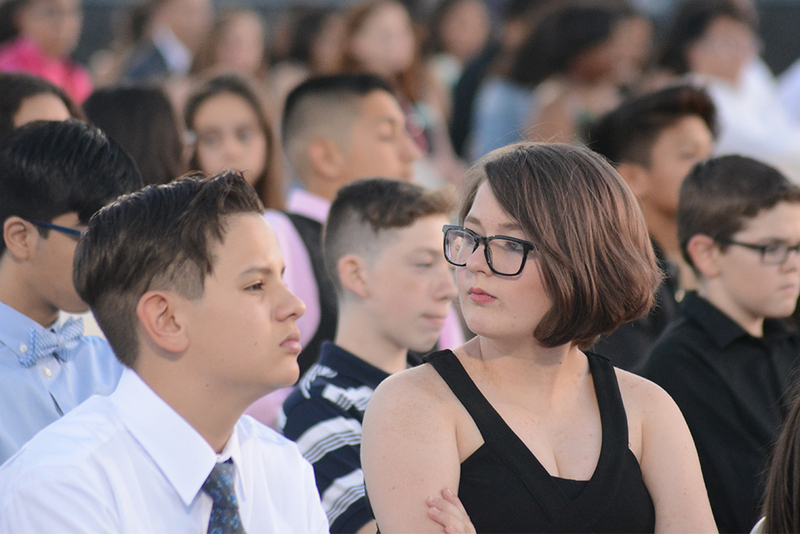 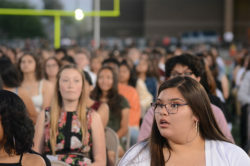 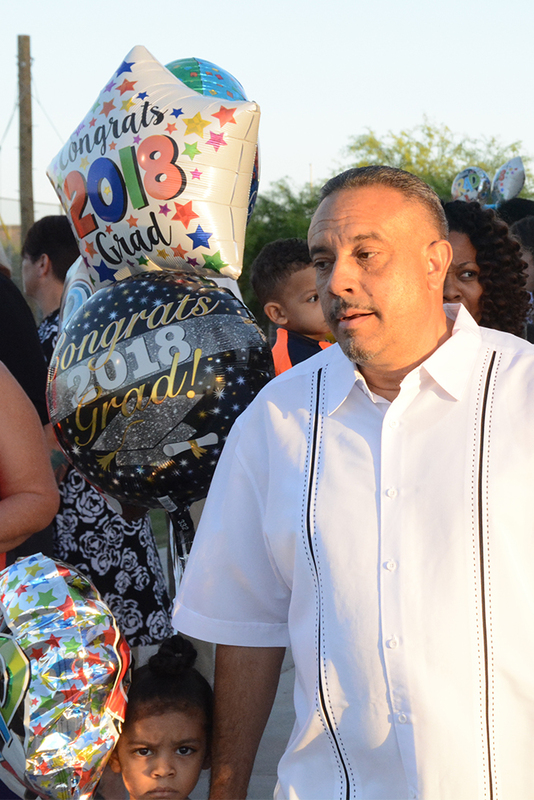 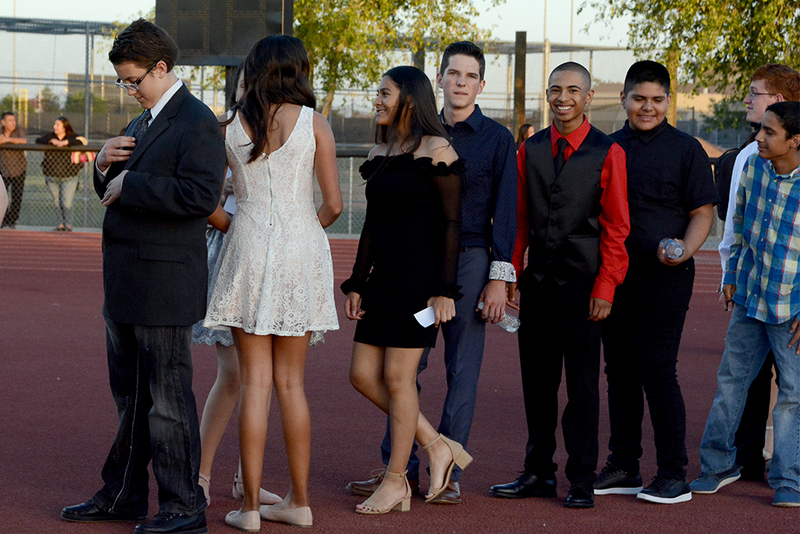 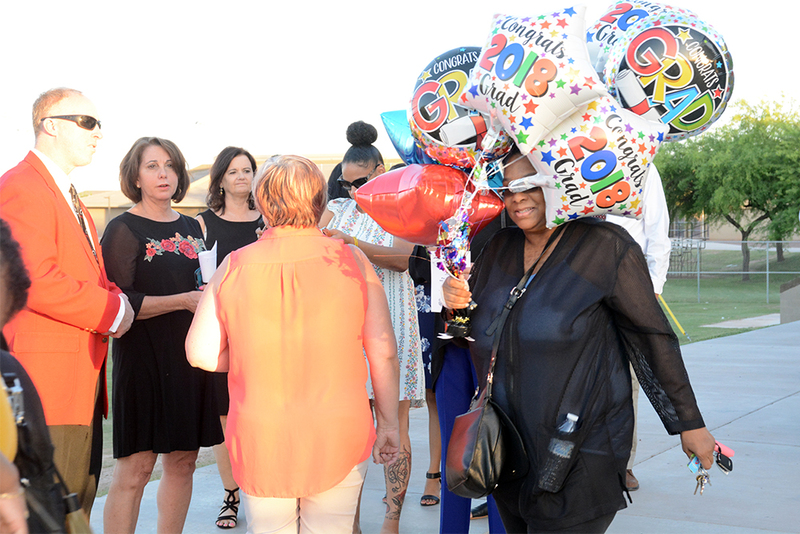 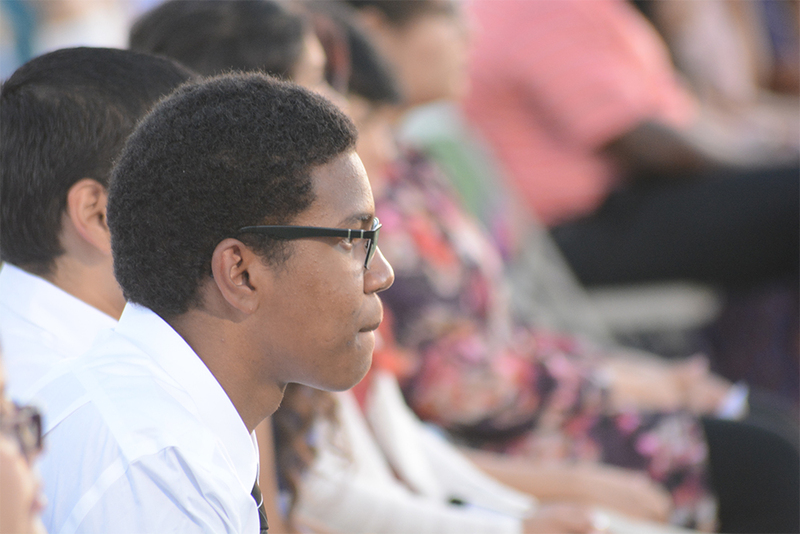 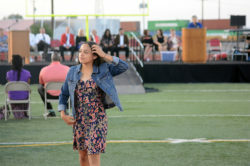 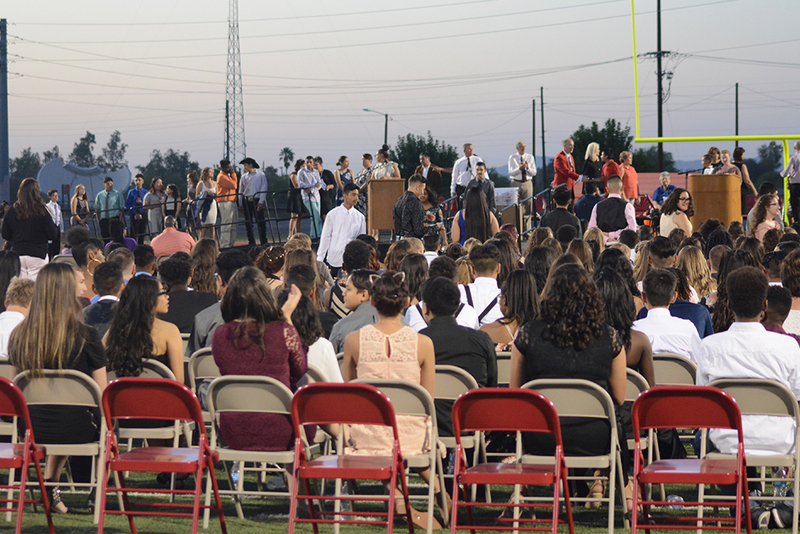 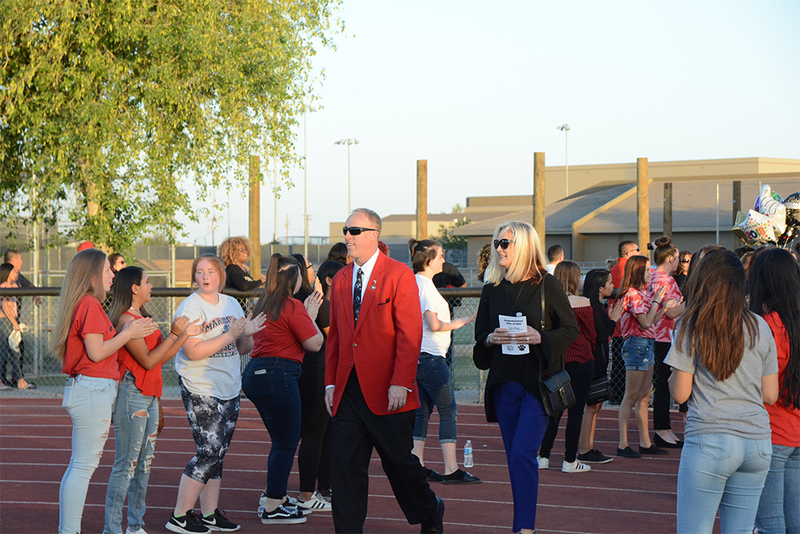 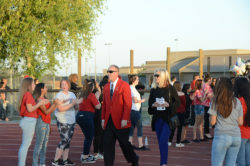 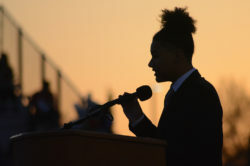 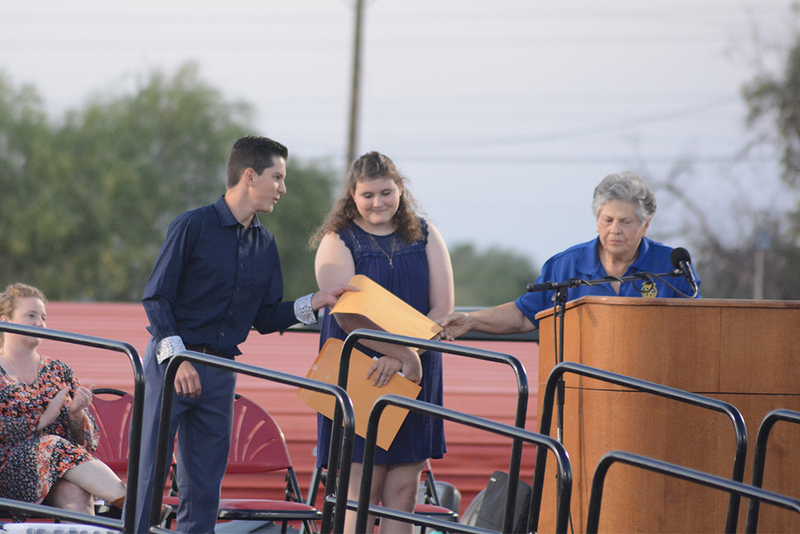 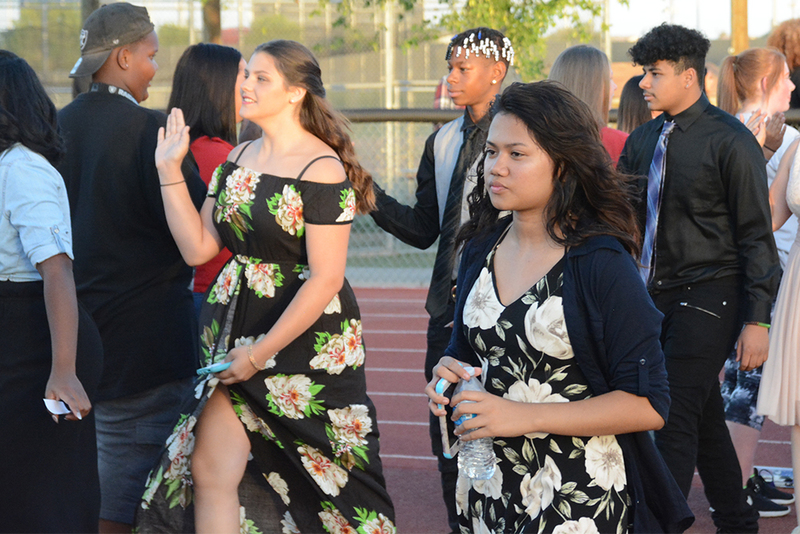 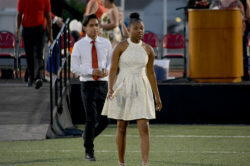 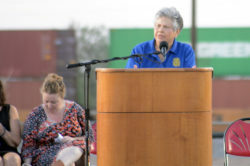 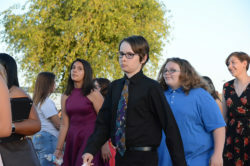 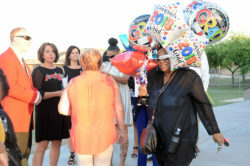 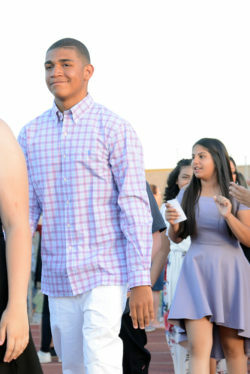 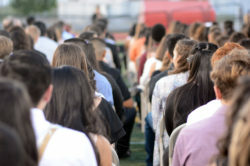 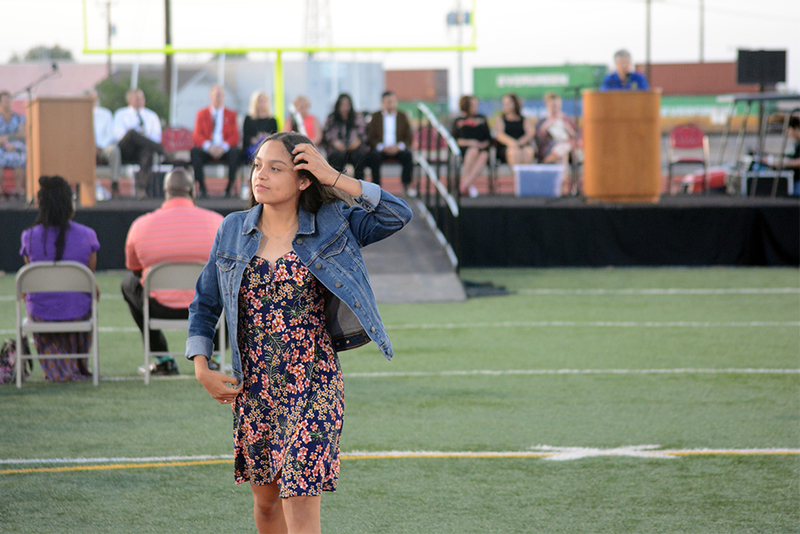 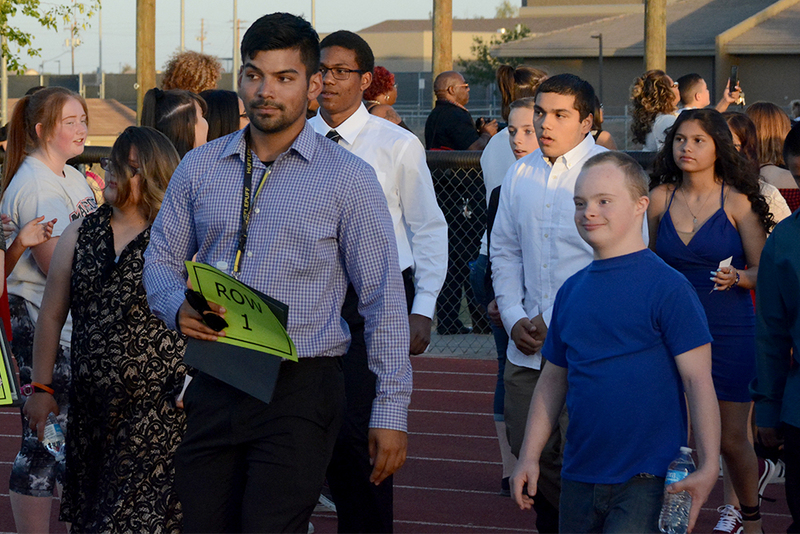 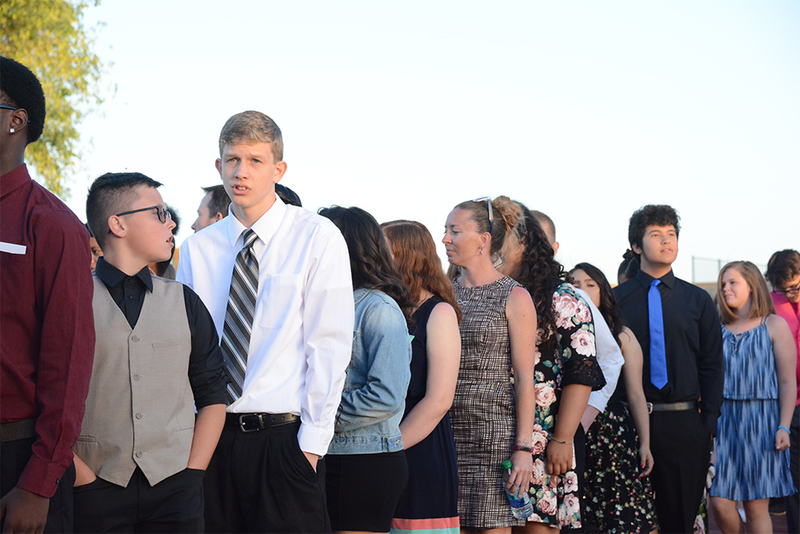 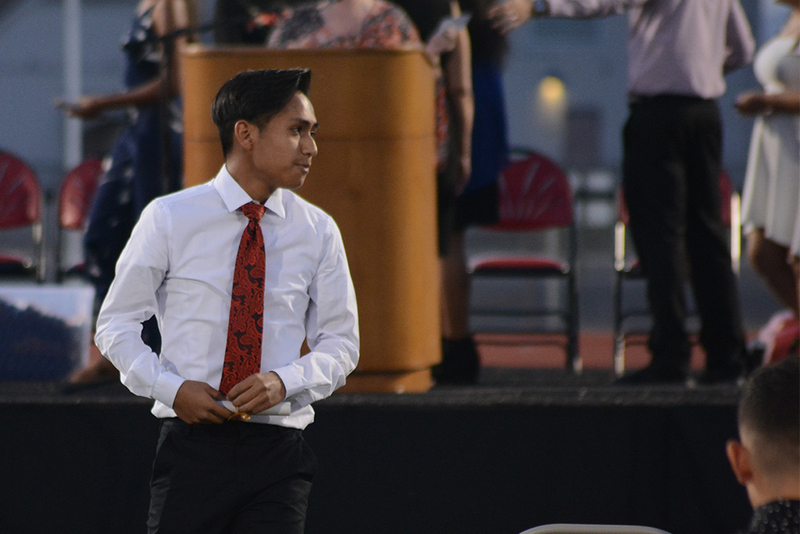 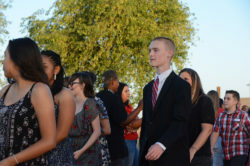 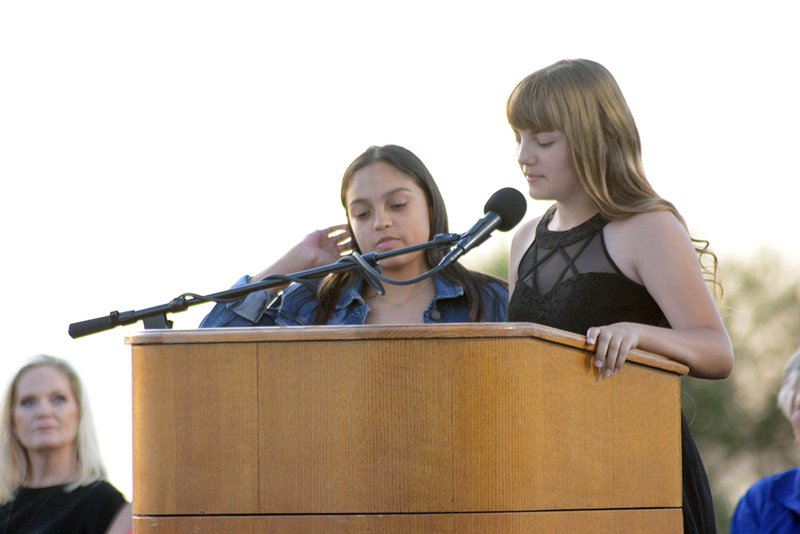 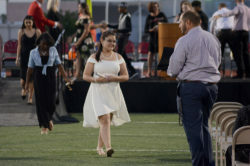 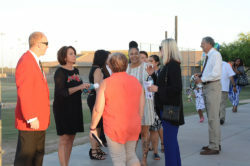 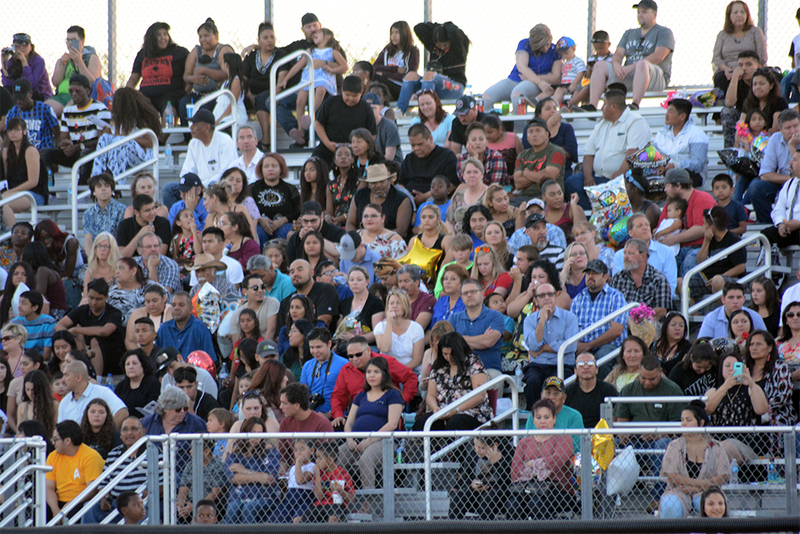 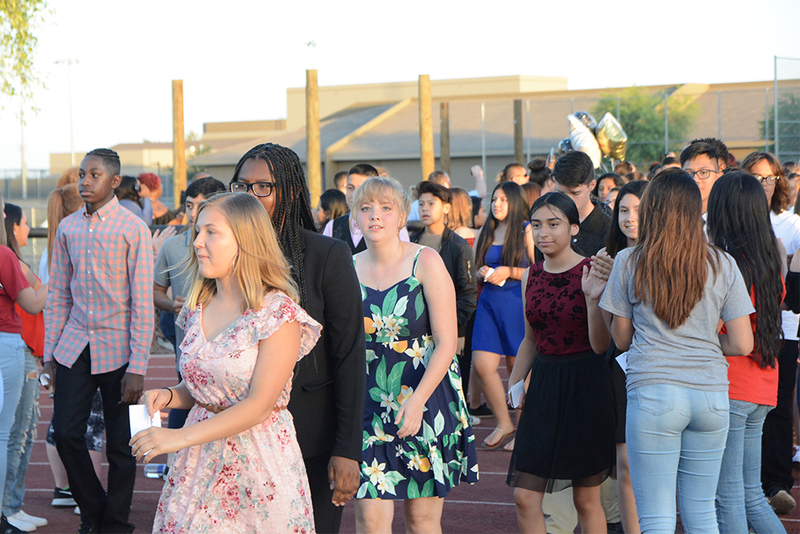 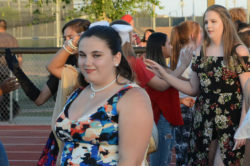 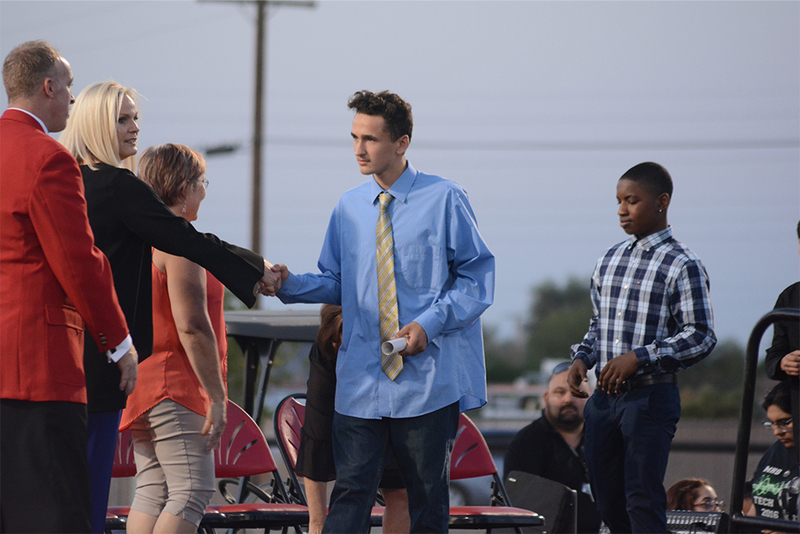 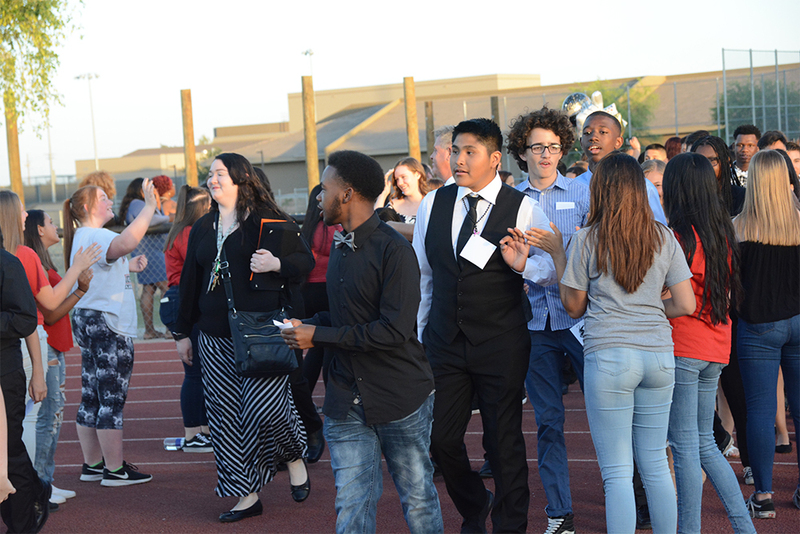 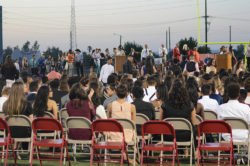 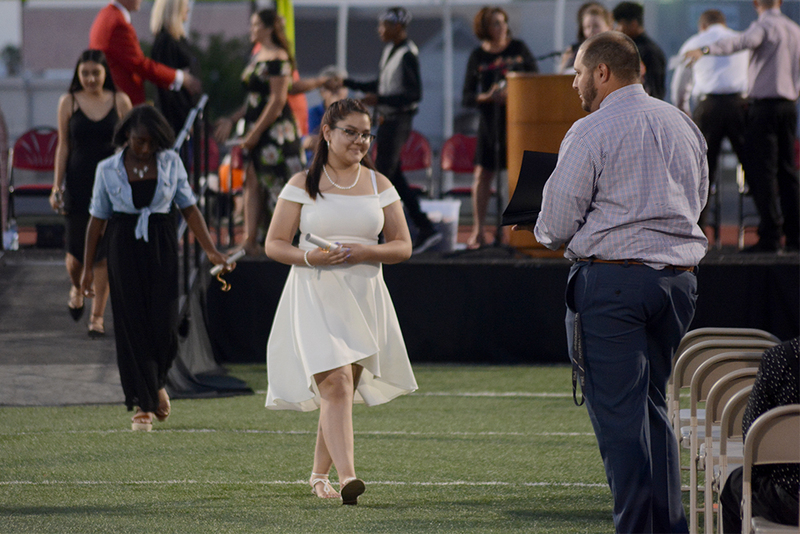 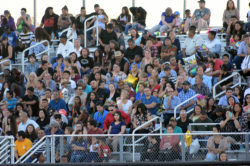 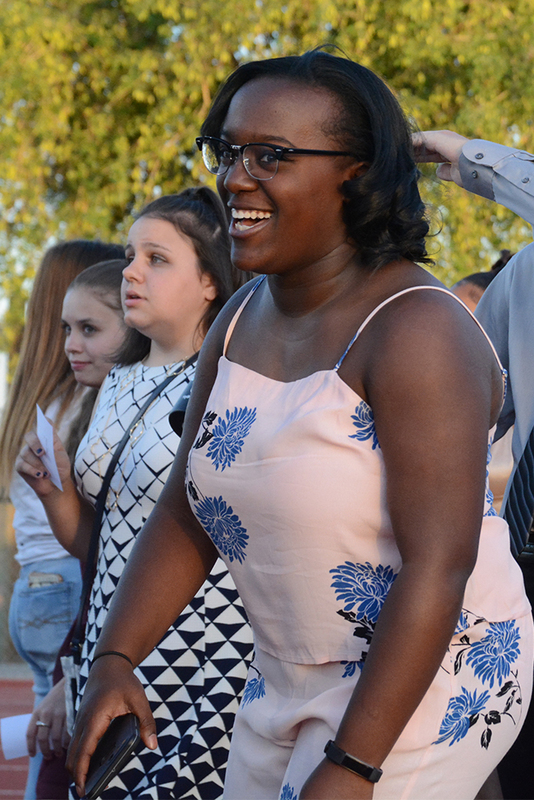 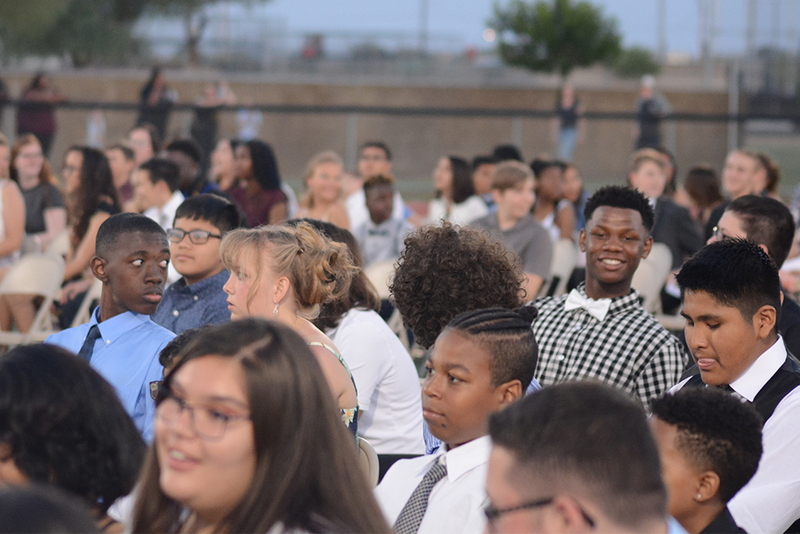 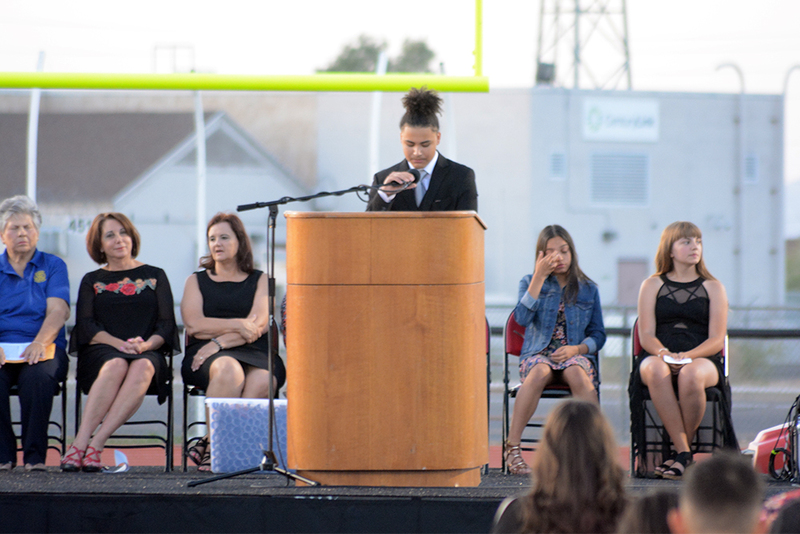 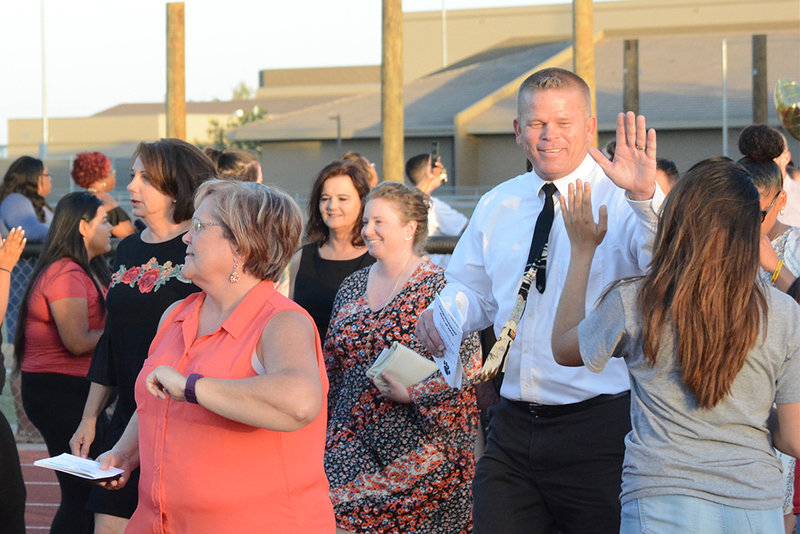 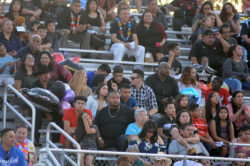 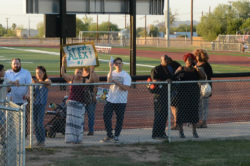 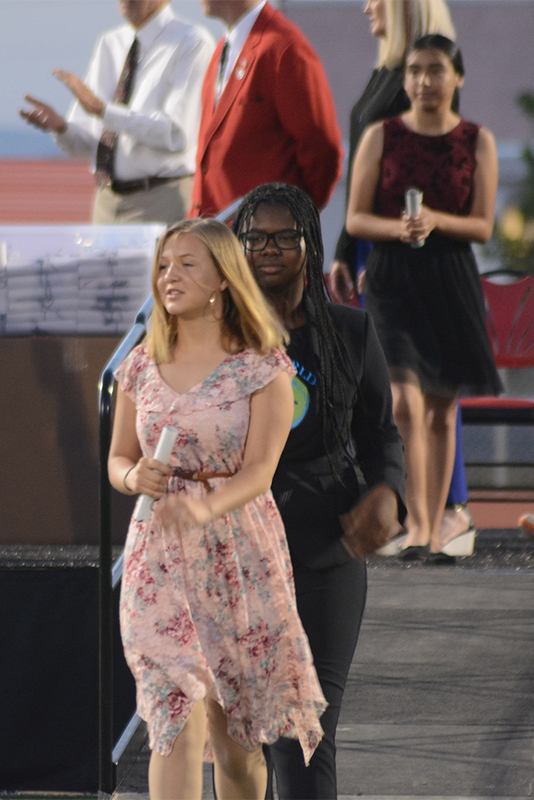 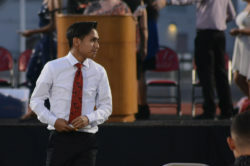 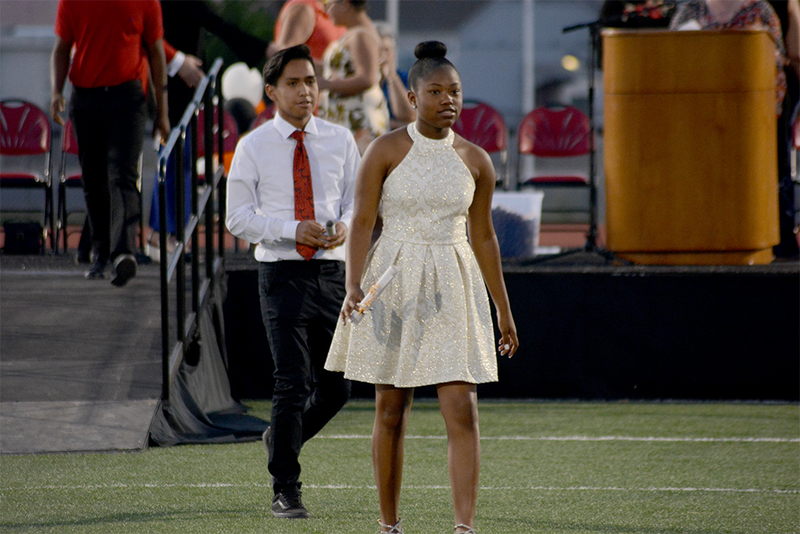 Eight graders from Maricopa Unified School District’s two middle schools, Desert Wind and Maricopa Wells, came together Tuesday to mark the end of junior high and their promotion to high school. It was a long day for the students, who spent the morning rehearsing on the Maricopa High School football field. 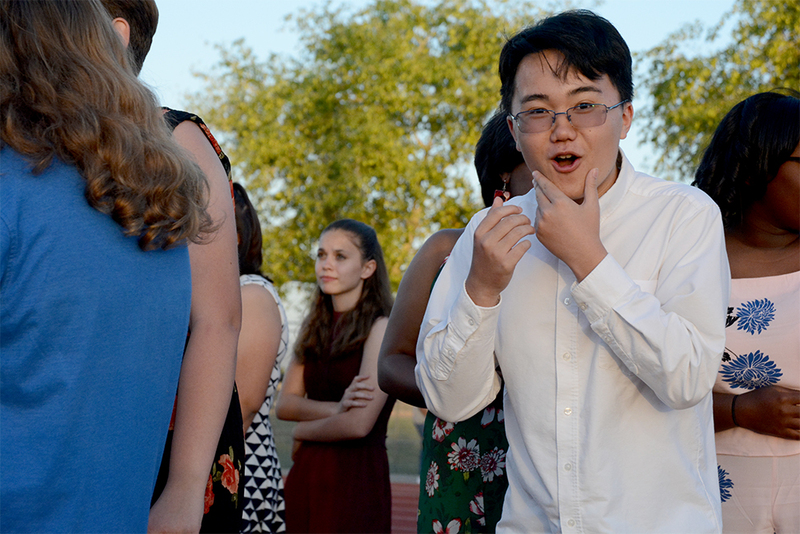 But DWMS’s planned eighth grade trip to Wet ‘n’ Wild is Wednesday. 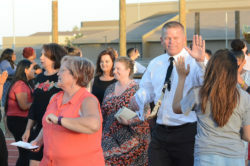 The last day of school is Friday.